Who Doesn't Love Free Printable Download Every Month? Who Doesn’t Love Free Printable Downloads?? Bloggers are always looking for fun ways to add value to our websites and keep you coming back for more! I like Free things as much as the next guy, thus making a FREE printable download available for you. A Free Printable Download is a really fun way to get the creative juices flowing and give back to my amazing followers with small thank you’s! Over the last year, we’ve expanded from a few simple kids prints to prints for mom and even for the holidays! We are always looking to add more printables so if you have any idea, don’t be shy send me an email let’s chat! Creatives can run out of inspiration too so that friendly nudge is always appreciated! Our roster of prints has grown and we’ve separated them into categories for easy searching so navigate through them by selecting from the categories above! 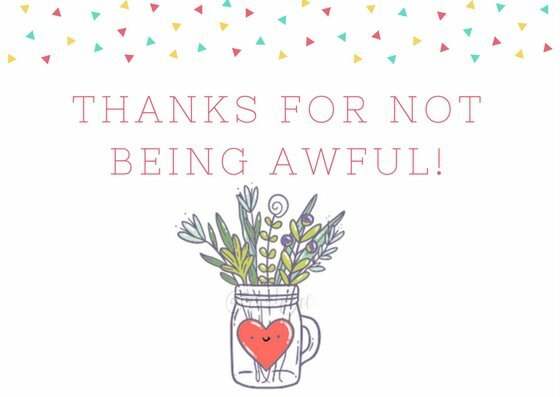 We (I) hope that you enjoy the printables and thanks for not being awful!